Figure 1. 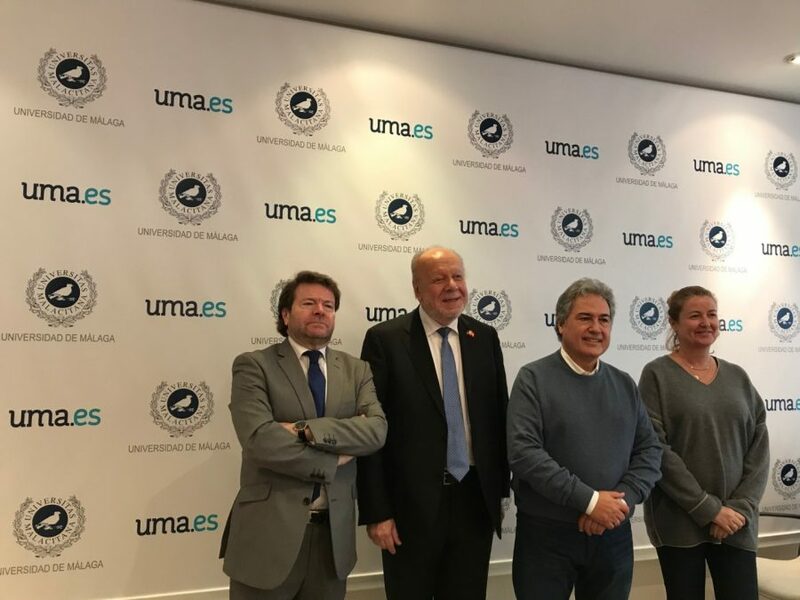 (L-R) Dean of the University of Malaga Law School Dr. Dr. Juan José Hinojosa Torralvo; Ambassador Philippe Lhuillier; Vice Rector for Institutional Policy, Dr. Dr. Juan Antonio Garcia Galindo; a Faculty member of the University. Figure 2. 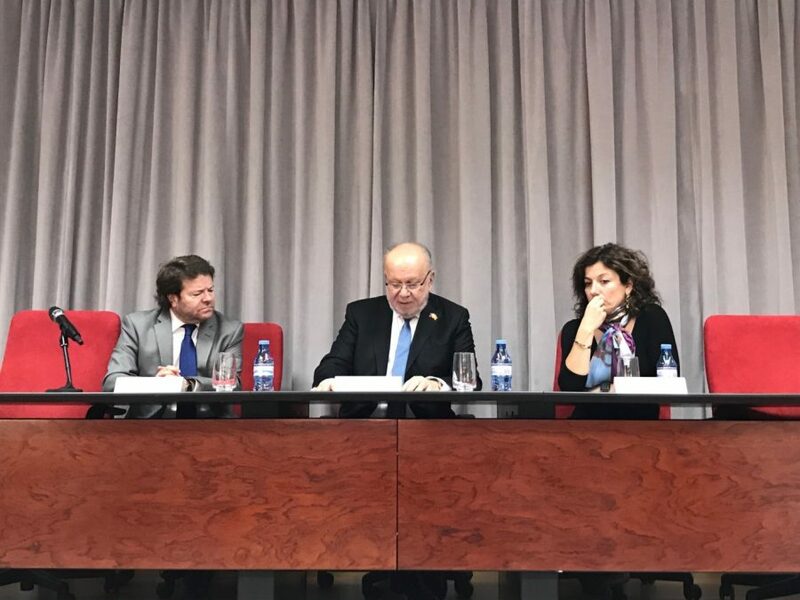 (L-R) Dr. Hinojosa, Ambassador Lhuillier, and Dr. Olga Guerrero Perez at the presentation of the Erasmus + K107 project. The University of Malaga Law Department formally presented the Erasmus + K107 Project, with the Philippine Ambassador to Spain, H.E. Philippe Lhuillier, at the University of Malaga main campus on 12 February 2018. In attendance were law students, members of the faculty led by the Dean of the Law Department Dr. Juan José Hinojosa Torralvo, and International Linkages Director Dr. Olga Guerrero Perez, and Philippine Honorary Consul to Malaga, Ms. Rosa Aguera. The Dean of the Law School expressed his excitement over the University’s collaboration with the top law schools of the Philippines and the program’s future directions, such as its possible expansion towards capacity building for experts. The program, which is an outcome of the International Congress in Philippine and Spanish Law held in Malaga in May 2017 (a collaborative effort of the law schools of Malaga, University of the Philipines-Diliman and Ateneo de Manila), allows for educational exchange of students and professors between the universities of Spain and the Philippines. The program is funded by the European Union and aims to encourage scholarship exchanges at the graduate level between the Philippine and Spanish future law experts. Earlier in the day, the Ambassador also met with the Vice Rector for Institutional Policy Dr. Juan Antonio Garcia Galindo and discussed the possibility of the establishment of a Philippine studies program in the University.